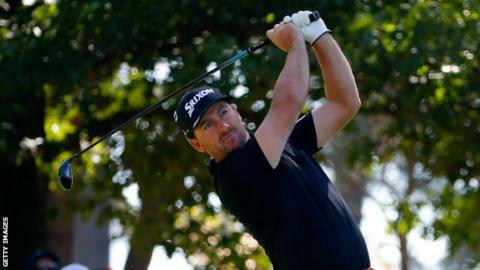 Former champion Graeme McDowell missed the cut at the RBC Heritage event at Hilton Head after a second-round 73 left him on five over par. McDowell's 147 total left him three shots outside the cut mark in South Carolina. The 2010 US Open champion, now 66th in the world rankings, also suffered an early exit at last week's Masters. After a birdie at the fourth on Friday, a double bogey at the seventh was a blow to the Northern Irishman's hopes. A second birdie of the day at the ninth moved McDowell back to his overnight position of three over, but he could manage no more gains on the back nine as he also bogeyed the 12th and 14th. World number one Jason Day and Americans Kevin Chappell and Charley Hoffman lead on six under par. British pair Luke Donald and Russell Knox are a stroke off the pace. McDowell's ambitions for 2016 include being part of the Ireland team for the Rio Olympic Games and the European line-up to defend the Ryder Cup in Hazeltine.